performance at all stages of their lifecycle from design, through manufacture, usage, and finally, disposal. equipment and components, reducing costly down-time of equipment and machinery. Highly respected experts have written specially commissioned chapters to explore and explain the elements of tribology which complement the Total Tribology approach, representing the latest thoughts on tackling wear and lubrication problems. Friction prediction and cold starting of diesel engines. 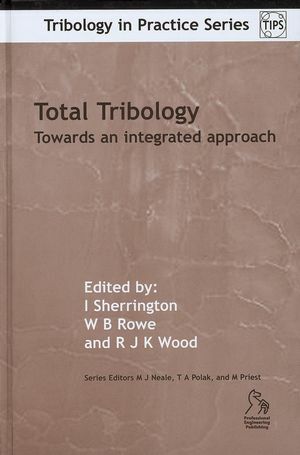 Ian Sherrington and W. B. Rowe are the authors of Total Tribology: Towards an Integrated Approach, published by Wiley.